Ph.D in Economics from University of Mysore on Corporate Savings Behaviour: An Econometric Analysis. M.A. in Economics from University of Jodhpur. Pre-Ph.D Programme from Institute for Social and Economic Change, Bangalore. Health Economics and Financing, Insurance, Econometrics, Public Finance . Efficiency of Social Sector Expenditure in India (2014), Routledge/ Francis and Taylor, UK. Health Care Sector in India: Towards Measuring Efficiency (2010), Gayatri Publications, New Delhi. Economic and Policy Issues in Health Care Sector in India (2009), Ideaindia.com, Cooperjal Limited, UK (digital book). Health Care Sector in India (2010) Gayatri Publications, New Delhi. Management of Urban Local Finance in Non-octroi States (1994) (Co-authored), Rawat Publications, Jaipur. The Revenue Management Practitioners’ Guide Volume III: USAID / India Reform Project Compendium With Practitioners’ Guide To State Fiscal Management Reform (2008) (Co-authored) published by the United States Agency for International Development(USAID). The Debt & Investment Management Practitioners’ Guide Volume IV: USAID / India Reform Project Compendium With Practitioners’ Guide To State Fiscal Management Reform (2008) (Co-authored) published by the United States Agency for International Development (USAID). Brijesh C Purohit, Efficiency in Health Care Sector in Bihar (India): An exploratory Analysis using DEA, African Journal of Health Economics, AJHE-2015-0002, vol.4, No.2, pp.1-13, http://www.ajhe.org, last accessed January 9, 2017 Brijesh C Purohit, Health Care System Efficiency: A Sub-State Level Analysis For Orissa (India), Review of Urban and Regional Development Studies, John Wiley and Sons Australia, March 2016, pp 1-20. Brijesh C Purohit, Efficiency in Healthcare Sector in Assam: A Sub-State Level Analysis Online J Health Allied Sciences. 2015;14(4):1. Available at URL: http://www.ojhas.org/issue56/2015-4-1.html Brijesh C Purohit, Efficiency in Health Care Sector in Tamil Nadu (India): An exploratory Analysis. Online J Health Allied Scs.2016;15(1):1. Available at URL: http://www.ojhas.org/issue57/2016-1-1.html Brijesh C Purohit, Healthcare sector efficiency in Gujarat (India): an exploratory study using data envelopment analysis, Healthcare in Low-resource Settings 2016; 4:5525, Page press Italy. Brijesh C Purohit, Efficiency in Elementary Education in Urban India: An Exploratory Analysis Using DEA, The Indian Economic Journal, 64(1&2) 218–229, 2016, Indian Economic Association, SAGE Publications Brijesh C Purohit, Efficiency of Education Sector in India: A case of Rajasthan State, Asian Economic Review, September 2015, Volume 57, No.3 Brijesh C. Purohit "Efficiency of social sector expenditure in India: a case of health and education in selected Indian states" Vol 2 (2014) , no.1 Healthcare in Low-resources Settings, pagepress, Italy.doi:10.4081/hls.2014.1866. Brijesh C. Purohit: "Health Care Demand in India" Healthcare in Low-resource Settings 2013; 1:e7. PAGEPress, Italy. Brijesh C. Purohit: “Health Policy, Inequity and Convergence in India”, International Journal of Development Studies, Volume IV, July-Dec 2012, pp. 104-118, ISSN 0975-5799. Brijesh C. Purohit: “Budgetary Expenditure on Health and Human Development in India" International Journal of Population Research, Hindawi Publishing Corporation, Volume 2012, Article ID 914808, 13 pagesdoi:10.1155/2012/914808 Brijesh C. Purohit: Will Medical Tourism Help the Poor?, Arth Anvesan (A Biannual referreed journal) Vol.5 No.1 &2, pp. 5-14, SMVD University, J&K, 2011 "Efficiency Variation at Sub-state Level: The Health care system in Karnataka" Economic and Political Weekly, Vol. XLV, No. 19, pp. 70-76, May 8, 2010. “Efficiency of Health Care Sector at Sub-State Level in India: A Case of Punjab" Online J Health Allied Scs. Vol. 8, Issue 3: (2009 Jul-Sep). “Health and Human Development at Sub-State Level in India”, Journal of Socio Economics,: 37 (2008) 2248–2260: Elsevier Publications. “Inter-State Disparities in Health Care and Financial Burden on the Poor in India”, Journal of Health and Social Policy , Vol. 18, No.3, 2004, 37-60, Howarth Press, USA. “Social Security for the Aged in India: Some Policy Issues”, Journal of Aging & Social Policy, Vol.15, No.4, 2003, 49-79 , Howarth Press, Boston, USA . “Structural Adjustment, Private Initiatives and Policy Options: A Case of the Indian Healthcare Sector”, Health Policy and Planning, 16(1), January-March, 2001, 87-97, Oxford University Press, U.K.
“Healthcare Sector in India: Are We Moving in the Right Direction?”, Impressions, Vol.1, No.1, March 2000, 11-12. "The Cost Benefit Analysis of A Loan Scheme: A Case Study of Rangabelia project" Community Development Journal, Vol. 30, No.1, January, 1995, pp. 66-72, Oxford University Press, U.K.
"Government Expenditure on Health Care", Radical Journal of Health (New Series), Vol 1, No. 2, 1995, pp. 150-152. "Socio-Economic Correlates of Outpatient Care in a Factor Analytic Framework", Journal of Health and Social Policy, Vol. 7, No. 1, Sept., 1995, pp. 1-18, U.S.A.
"Socio-Ecomomic Correlates of Household Health Care Behaviour: A Factor Analytic Approach" Asian Economic Review, Vol. XXXVI, No. 2 August 1994, pp. 391-416. "Household Expenditure on Health Care", Economic and Political Weekly, Vol. XXIX, No. 26, June 25, 1994, p. 1587-1588. "How Expensive is Public Health Care to the Patients? ", Journal of Health Management, Vol. 7, No. 1 January-June, 1994, p. 29-33. "Utilisation of Health Services in India" Economic and Politicial Weekly, Vol XXIX, No. 18, April 30, 1994, pp. 1071-1080. "Post-Partum Programme in India: Some Financial Issues in Rajasthan (Sub-District Level)", Journal of Family Welfare, Vol. 39, No. 4 (December 1993), p. 9-15. "Managerial Innovations and Economic Efficiency in Public Hospitals in Hongkong" Hospital Management International, 1993, 111-115, U.K.
"Operating Efficiency in Inpatient Care: An Exploratory Analysis of Teaching Hospitals in Rajasthan, India" International Journal of Health Planning and Management, Vol. 7, 149-162, 1992, U.K.
"A Model of Local Fiscal Choice" (Co-authored), Occasional paper of the Metropolitan Studies Program, The Maxwell School, Syracuse University, New York, USA (NO. 135, May, 1990), Public Finance/Finances Publiques, Vol. 47, No. 1, 1992, Germany. "Expenditure Reassignment and Fiscal Decentralisation: An Empirical Study of State and Local Government in India"" (Co-authored), Environment and Planning C: Government and Policy, Vol. 13, pp. 351-360, 1995, U.K.
"Corporate Savings Behaviour in India: A Model", Economic and Political Weekly, Vol XXV, Nos. 7 and 8 (February 17-24, 1990), M2-M8. "Interest Sensitivity of Household Savings: A Life Cycle Explanation" (Co-authored), International Journal of Development Banking, Vol 7, No. 2, (July, 1989), 49-59. "Firm Size and Saving Behaviour: A Study of Selected Indian engineering Firms", Indian Economic Review, Vol. XXIII, No. 1 (January-June, 1988), 107-120. "Corporate Performance 1970-1983: Disturbing Trends", Fortune India Classics (1987-88), 174-176. "Saving Behaviour of Corporate Sector in India" (co-authored), The School of Economics, Vol 1, No. 2, (December, 1985), 12-25. “Efficiency of Social Sector Expenditure in India” in Himanshu Sekhar Rout and Padmaj Mishra (Eds. ), Social Sector in India: Issues and Challenges, Cambridge Scholars Publishing, 2015, pp. 25-59, UK. “Convergence in Healthcare Sector in India State, in K. Gayithri and K. V. Raju (Eds. ), Governance and Financing India's Development, Canbridge University Press, 2015, pp. 125-143, UK. "Determinants of Health and Social Welfare", in Yamazato, K. et al. (Eds.) Development and Conservation in the Asia-Pacific Region, 81-88, Okinawa Chapter, The East-West Center Association, Okinawa, Japan, 1995. "Intra-state Regional disparities and Health care Utilisation in Rajasthan, India", in Yamazato, K. et al. (Eds.) Development and Conservation in the Asia-Pacific Region, 89-94, Okinawa Chapter, The East-West Center Association, Okinawa, Japan, 1995. "Utilisation of Health Services in Rajasthan" in Environmental Resources, Gurjat, R.K. and Gupta, N.L. (Eds. ), Print Well Publishers, (Forthcoming). "Urban Water Supply in Rajasthan: A Case Study of Jaipur City", in Urban Water Management, Rathore, M.S. and Reddy, V.R. (Eds. ), Rawat Publications, 1996, pp. 132-158. Economics of Insurance and Life and Health Insurance to the Post Graduate Students of M.Sc (Financial Economics) at MSE and also coordinated M.Sc (Financial Economics) course as faculty advisor. 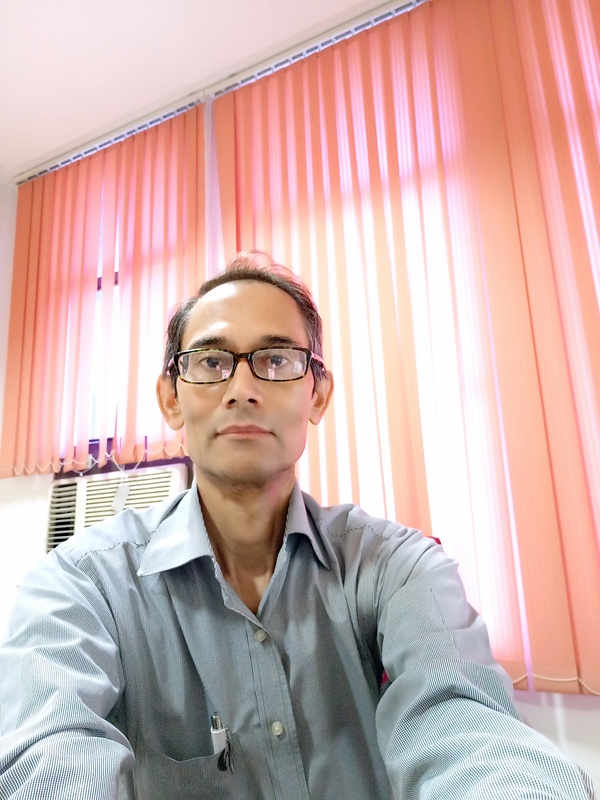 Earlier taught Health Economics and financing, Costing in Hospitals and Health Care Sector, Insurance, Health Insurance, Indian Social and Economic Environment and Managerial Economics.